Midna is an interesting character. You don't want to like her, but as the game progresses, you can't help but find yourself drawn to the little imp. 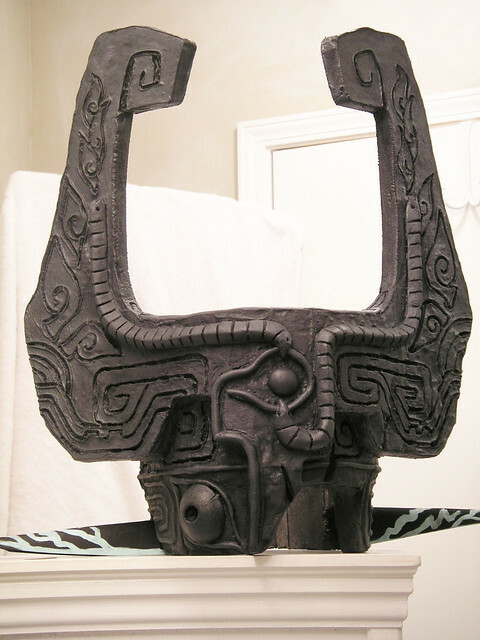 Her helm is a particularly interesting piece of sculpture, one of four pieces of the "Fused Shadow" that you're sent to collect in the beginning stages of Zelda: Twilight Princess. Since this is a helmet, it had to be light enough to not fatigue the wearer if used for 4+ hours. 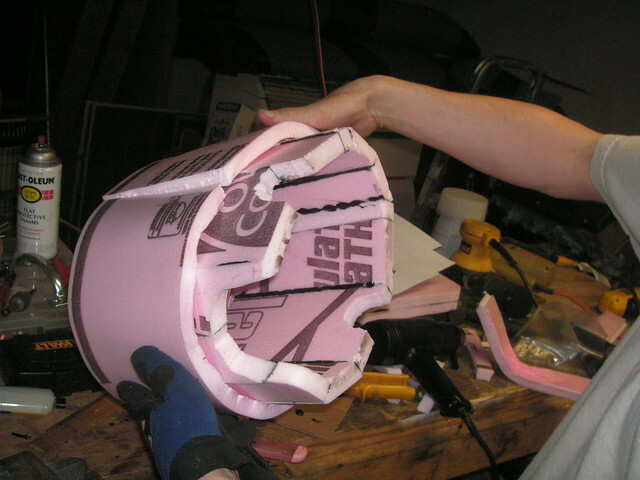 I decided on making it out of insulation foam. 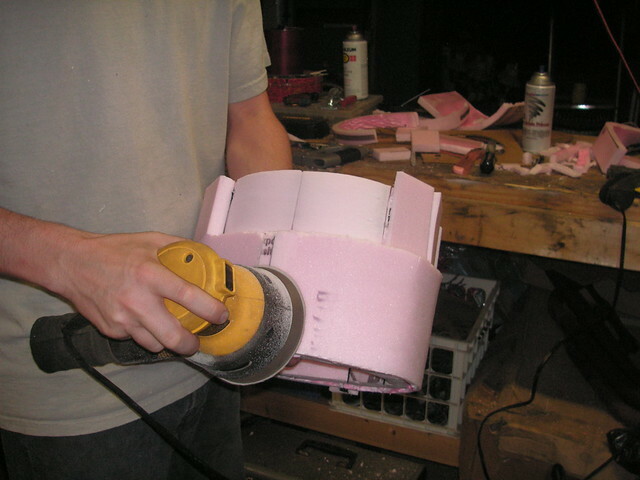 The initial parts were angled pieces of foam that were made to fit around the client's head. After that, I heated 2 pieces and bent them around the circumference of the piece, forming a flat surface to work with. 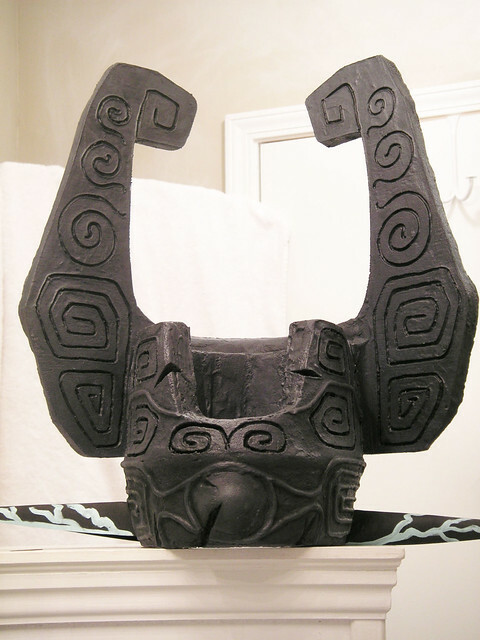 The "horns" were flat pieces of foam, glued to this structure. 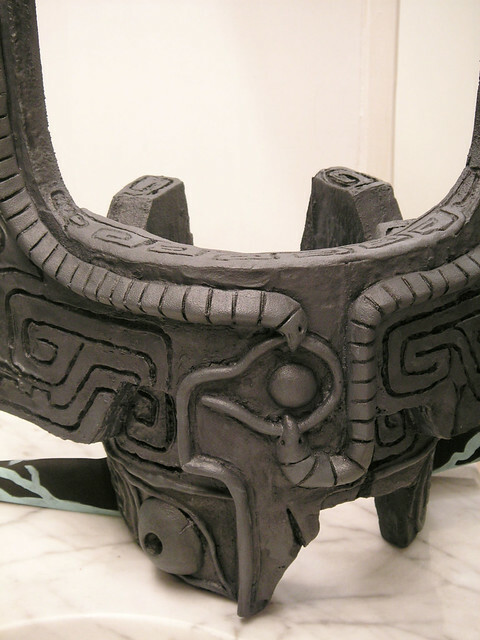 A raised edge was built up between them to form the front of the helmet. 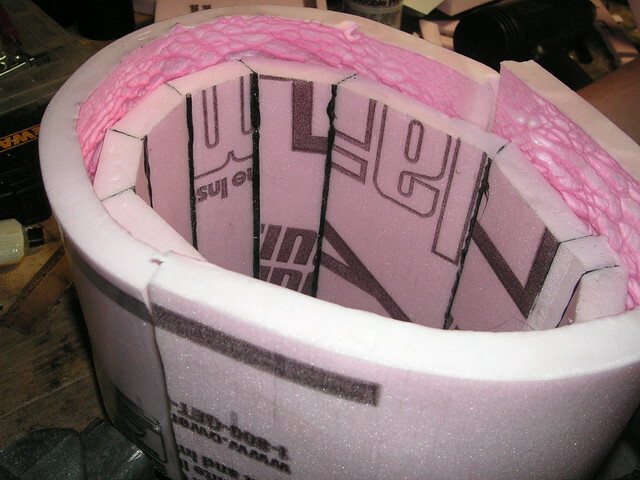 Recessed runes and patterns were carved into the foam using a soldering iron, while the raised portions were made using hot glue. Unfortunately, there are only three process photos of this project that exist, as I was in a time crunch and the entire thing needed to be produced in four days. Despite the rush job, I believe the finished product came out very well. Other materials used were Crayola Model Magic (I will never use this again,) expanding insulation foam, ABS glue, and several different types of paint. The helm comes in weighing just over 3 pounds.